"George H. W. Bush was a man of the highest character and the best dad a son or daughter could ask for," former President George W. Bush, who served in the Oval Office eight years after his father, said in a statement. 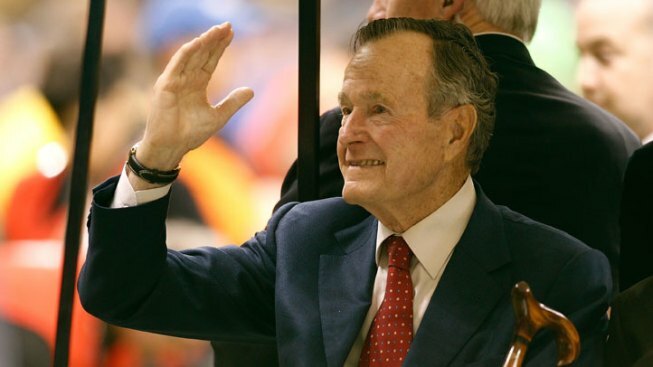 "The entire Bush family is deeply grateful for 41’s life and love, for the compassion of those who have cared and prayed for Dad, and for the condolences of our friends and fellow citizens." President Donald Trump and first lady Melania Trump said they join the nation in mourning Trump's inspiring and faithful predecessor, according to a statement released early in the morning in Argentina, where they are attending the G-20 summit. "President Bush guided our Nation, and the world, to a peaceful and victorious conclusion of the Cold War," they said. "As President, he set the stage for the decades of prosperity that have followed. And through all that he accomplished, he remained humble, following the quiet call to service that gave him a clear sense of direction." 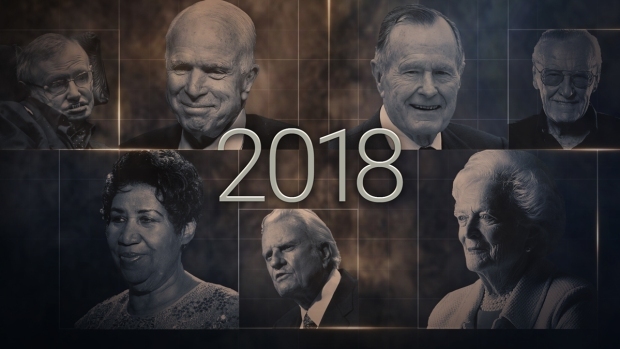 Vice President Mike Pence said in a statement that "his example will always inspire and his lifetime of service will be enshrined in the hearts of the American people forever." Former President Barack Obama had visited with Bush in Houston earlier in the week, and he and Michelle Obama in a statement called Bush a "patriot and humble servant" of his country with "a legacy of service that may never be matched." "George H.W. Bush’s life is a testament to the notion that public service is a noble, joyous calling. And he did tremendous good along the journey," they said, citing his role in bringing the Cold War to an end, saving Kuwait from Saddam Hussein and legislative achievements. Former President Bill Clinton also paid tribute to Bush with a statement made with his wife Hillary, saying "he never stopped serving." 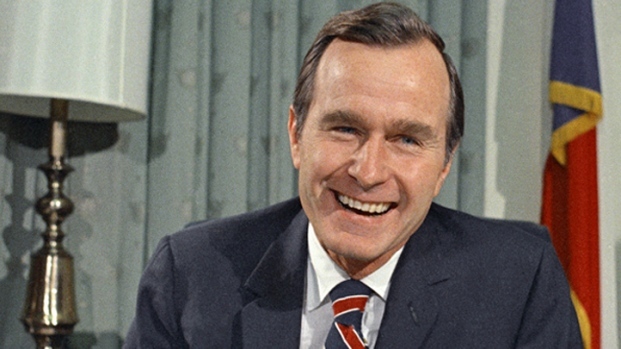 "Few Americans have been—or will ever be—able to match President Bush’s record of service to the United States and the joy he took every day from it; from his military service in World War II, to his work in Congress, the United Nations, China, the Central Intelligence Agency, the Vice Presidency and the Presidency, where he worked to move the post Cold War world toward greater unity, peace, and freedom." And former President Jimmy Carter said he and wife Rosalynn "are deeply saddened" by Bush's death. They said in a statement that his administration "Was marked by grace, civility, and social conscience." "It was a time of great change, demanding great responsibility from everyone. The result was the end of the Cold War and nuclear arms race said former Soviet premier Mikhail Gorbachev. Gorbachev said he and his wife "deeply appreciated the attention, kindness and simplicity typical of George and Barbara Bush, as well as the rest of their large, friendly family" said former Soviet premier Mikhail Gorbachev." "I was honored to be nominated by him to the United States Court of Appeals for the District of Columbia Circuit and the Supreme Court of the United States," said U.S. Supreme Court Justice Clarence Thomas. "Both he and Mrs. Bush were the essence of decency and kindness then and throughout the years." Even the Dalai Lama, the Tibetan spiritual leader, shared his memories of "the first American President that I was privileged to meet." He wrote in a statement that he was "deeply touched" by Bush's "concern for the Tibetan people and the situation in Tibet." The Dalai Lama added that he led "a meaningful life, dedicated to public service." Bush tried to "create a new international order based on justice and equality among nations" ... he never "forgot the Kuwaiti people and will remain in their memory." said Kuwait's ruling emir, Sheikh Sabah Al Ahmad Al Sabah. Bush led a 35-nation coalition into Kuwait after Iraq annexed and invaded the country. "I will never forget George H.W. Bush and President Clinton meeting me in my old hometown of New Orleans to show support and raise money after Hurricane Katrina. I send my love to his family tonight" said Ellen DeGeneres via Twitter. NFL Commissioner Roger Goodell remembered the times Bush participated in the coin tosses before two Super Bowls, including Super Bowl XXXVI in New Orleans after Sept. 11. Goodell said in a statement that Bush "was a true friend of the NFL and a genuine fan who understood the power of sports to bring people together. Our entire league is grateful for this extraordinary man." "Texans are genuinely honored that he called the Lone Star State home and we collectively grieve this monumental loss" said Texas Governor Greg Abbott. "It was with sadness that I learned of the death of President George H W Bush last night," Queen Elizabeth II said in a statement. "President Bush was a great friend and ally of the United Kingdom. ... Prince Philip and I remember our days in Texas in 1991 with great fondness." Japanese Prime Minister Shinzo Abe said he's "deeply saddened" by the news of Bush's passing. Abe praised Bush in a statement Saturday for Bush's role in ending the Cold War with the Soviet Union and taking leadership in the Gulf War. "Bush accomplished historic, great achievements by contributing to peace and stability of the international community," Abe said from the G-20 summit in Buenos Aires. During his four-year presidency, Bush visited Japan twice and played tennis with Emperor Akihito. Abe said that "hugely" contributed to further enhancing amicable Japan-U.S. relations.